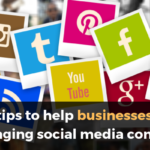 Have you noticed how more companies are encouraging their employees to share content on social media? And it’s not just the regular consumer brands doing it either – even B2B companies like Dell and HP Enterprise have got in on the action. It’s because they know just how popular employee advocacy is and – for many companies – it allows them to do more with less. Organisations are using it to save time and money while leveraging their employees’ skills, as well as their industry and company knowledge – all to generate and distribute content. With today’s buyers trusting employees more than the C-suite or sales department than ever before too, businesses are using advocacy to tap into their staff to instil and inspire that trust. But why is content from someone potentially more successful? Well, content from employees is just more approachable than most brand marketing content because it comes from a real person who is potentially an expert on the topic or industry. It’s authentic. Staff-driven content is more influential on buyers too, as people believe them more than brand-generated content. In fact – according to the Edelman Trust Barometer – voices of authority and expertise are regaining credibility with people, with 63% of them buying in to the technical expert over other ‘people like them’ (which fell to an all-time low this year). That’s why a successful employee advocacy programme can have a significant impact on prospects and leads. Here’s how it can work for lead generation in the B2B market – and for your business. When audiences see more than just the ‘official’ content from a brand, it increases the opportunities for them to become familiar with that business. Since B2B sales involve more than just one touch point and a solitary person, it’s critical to get content in front of as many people as possible. In one study, brands found they had 79% more visibility after implementing an employee advocacy programme. People are more likely to share and interact with content from people they know, and that is then distributed more widely than anything else compared to what an official brand channel publishes – saving time and resources on top of everything else. Comscore found that engagement rises by 28% when people are exposed to both official content and employee-generated material too. An employee advocacy programme can encourage more conversations between leads and the brand because they’re learning more about the organisation and its products directly from the people who work on them every day. They are building a relationship with that brand and vice versa. It’s a strong way to maintain a customer base and create new leads. Usually published by a brand’s C-suite or upper management, thought leadership articles should not be restricted just to them. B2B decision makers place a lot of value on this kind of content so it’s a great way to loop in other experts – employees! Unleash them to talk about their industry or product knowledge and, in turn, that should boost morale and raise engagement levels in-house as well as influence external customers and prospects. Social selling is all about building relationships and delivering value to people through online channels. 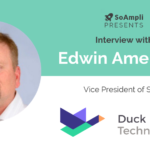 It is another popular tactic with most companies today, so much so, that 62% of sales professionals are now using social selling techniques. They therefore need access to as much valuable and meaningful content as they can get. 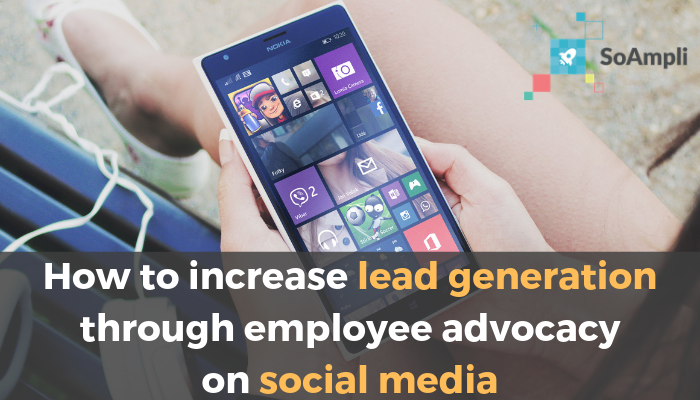 Overall, employee advocacy gives sales teams more valuable content that they can use to attract and engage potential new business. It can also impact all levels of an organisation but, for those in the B2B market, it can be the missing piece to generating quality leads and increasing conversions. Using an employee brand advocacy programme can deepen relationships with prospects, raise awareness across various channels and give KPIs a boost. To learn more about an employee advocacy programme and how it can help your B2B company, read SoAmpli’s blog on 20 benefits it can bring to your department.